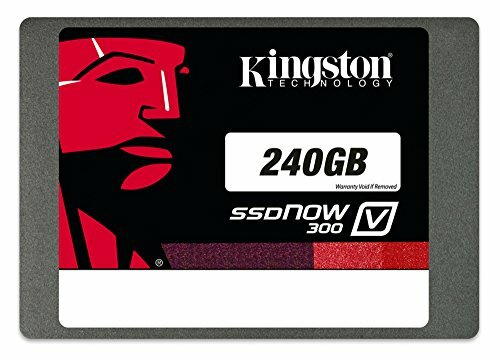 Was fooled by Kingston's solid reputation, this SSD does not match up to its similarly priced competition. At it's current price, decent but far from the best. You're better off with a samsung ssd 850 evo or a sandisk extreme pro. The transfer rates seem a bit lower than advertised. If you're tight on money though you won't be disappointed, especially if you're upgrading from an HDD. One thing to note if you're a new SSD owner when you purchase this. Run only you're operating system and maybe 1 or 2 games that might benefit from it... like world of warcraft (you will see a difference in performance for a game like this). IF you're uncertain of what games might run better with an SSD, google it. SSDs will not give you an increase otherwise, in-game wise, providing only a faster load speed to get in game. So keep your HDD for most games, media files, etc. The difference between having an OS on a standard hard drive and having it on an SSD is ridiculous. Currently running Windows 10 with Fast Boot enabled, and all cores used for boot through msconfig, I am able to see my desktop in ~8s from pushing the power button. On top of that, 240GB is plenty for OS and programs. Speedy woosh woosh. Its a thin drive, that comes with an optional plastic frame to make it a bit thicker if needs be. Helps the machine boot from off in about 6 seconds, install times are a dream. Relatively cheap and very quick. OS boot from unplugged start is about 13 seconds, read and write speed are around advertised speeds, no complaints. Losing a star because of the hoops I had to jump with firmware in order to get it to run correctly. When it was first installed it was as slow as a normal HDD.